My ideal location for a holiday is a place with a bit of history - somewhere that I can explore, learn and experience the past. That's why some of my favourite times are in Italy where I can explore the famous archaeological sites there. 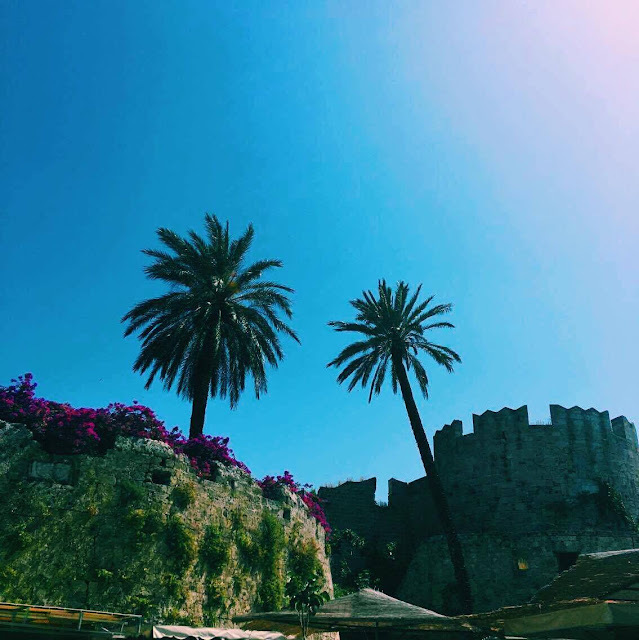 This year, Eleanor and I hopped across to Rhodes, for a week in the sun. I've already posted my holiday look book that you can have a nosey of, and my Instagram has been filled with holiday snaps too. 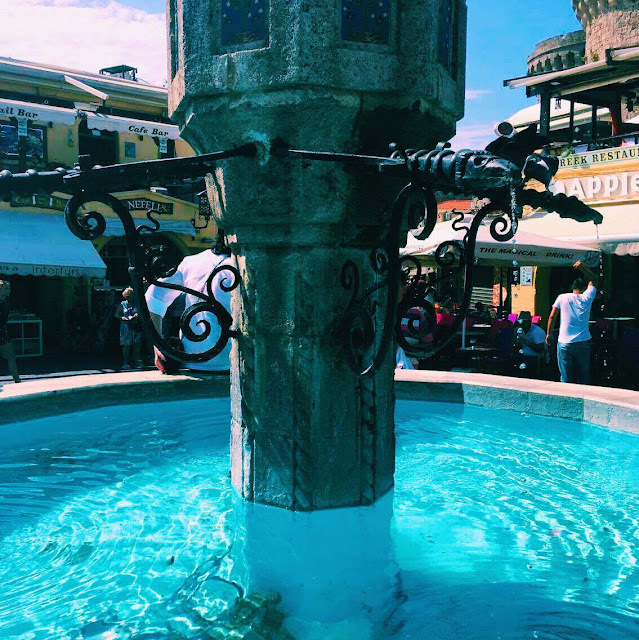 But I have so many photos to share that I thought I would continue some of my travel themed posts with a travel diary. 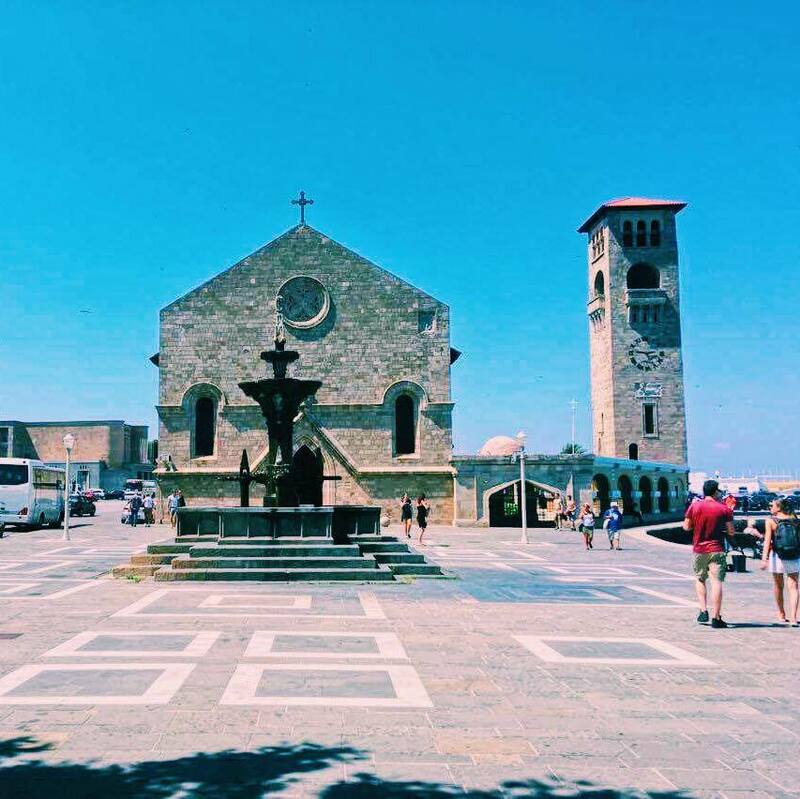 We stayed in the village of Afantou, a short and easy bus ride away from Rhodes Town, the capital of the island of Rhodes. 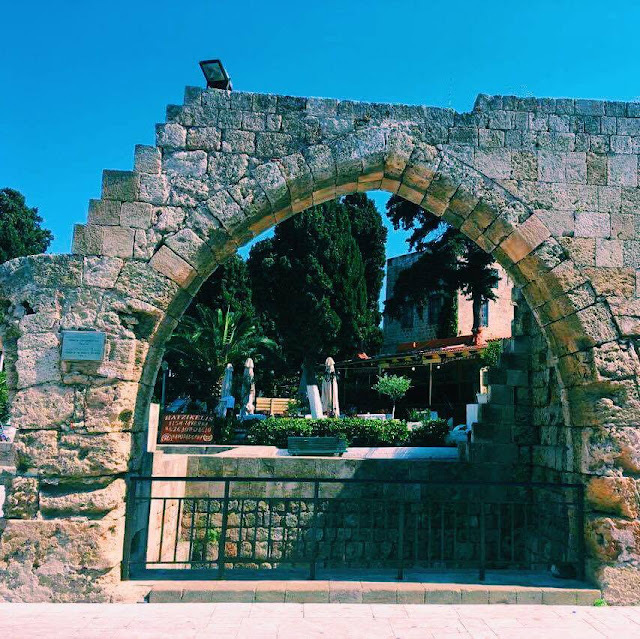 I knew that I had wanted to visit Rhodes Town as soon as we booked our holiday because of the history of the place, and the fact there are so many historic sites here. We first started by exploring the harbour area - which was a beautiful spot, filled with gorgeous buildings. Dotting in and out of the many people selling boat rides, we were able to walk along the whole harbour path. 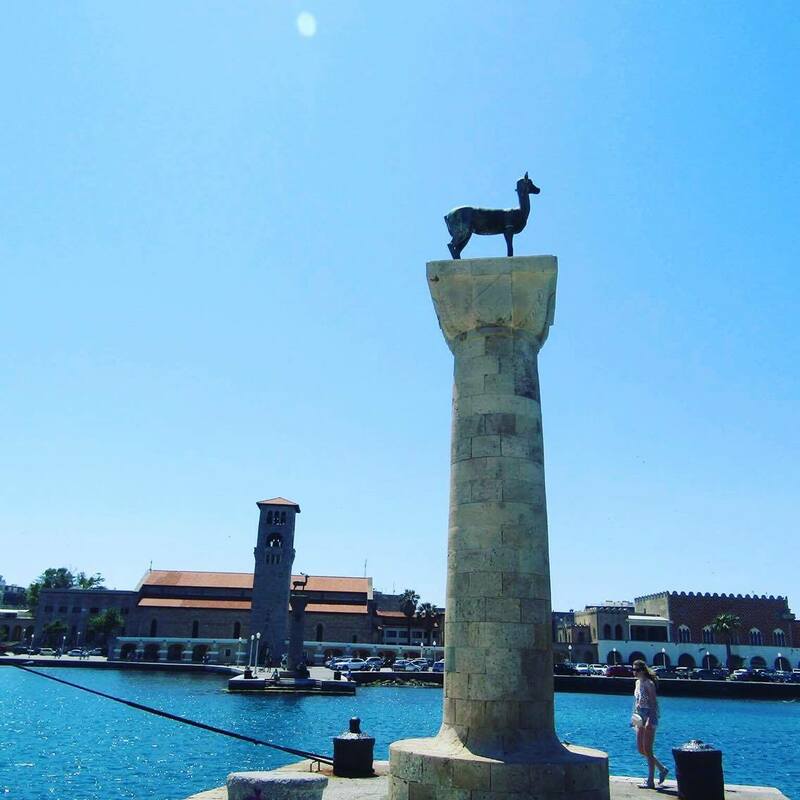 Slap bang in the middle of the harbour is the site of the Colossus statue - a famous statue that stood 108 feet high. The statue collapsed in an earthquake in 226 BC, and was never rebuilt. Most of the depictions of the statue that you'll see across Rhodes shows the statue as straddling the harbour, so that ships had to pass through his legs. However, it's most likely that it stood with its legs together. Nonetheless, the statue would have been an impressive site. It's listed as one of the seven wonders of the ancient world, so for history buffs trying to tick off some of the must sees of the classical sites, its definitely a place to visit. 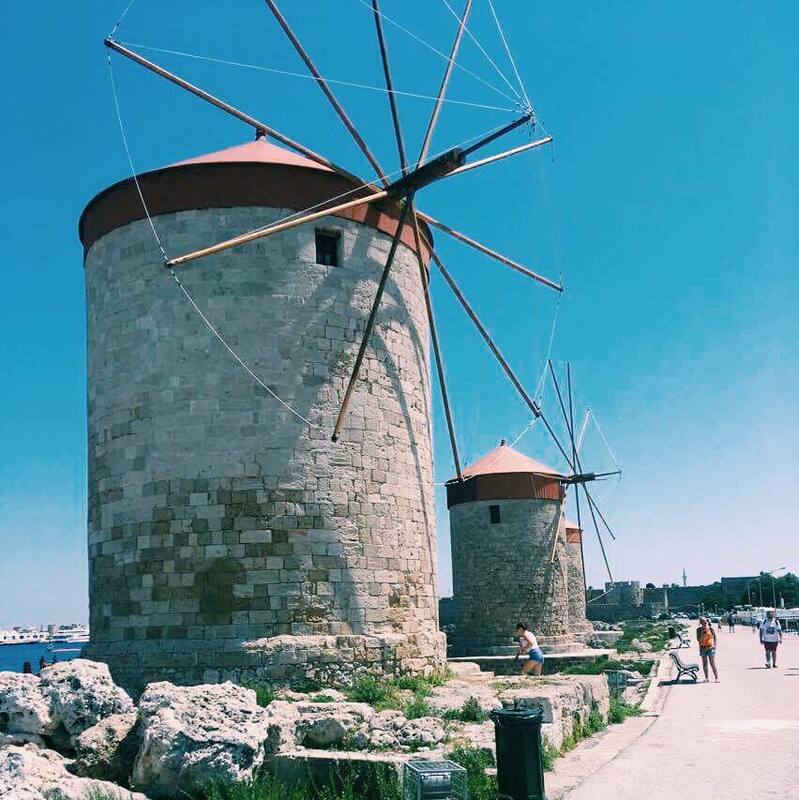 Along the harbour are three of the Windmills of Rhodes. These stand from Medieval times and once held grain that was imported into the city. Now a days, you can find lots of stray cats lounging in the shade, as they have become a cat shelter - where donations of food and money can be left for them. We then followed the great walls of the city through to the Old Town. The Old Town comprises of streets that are interlinked and hug the shoreline. Beautiful buildings line them, selling varieties of keep sakes, craft work, ice cream and food. The fortifications have many different gates through which to enter by, and we found ourselves weaving in and out of different gates to explore different areas. TIP - be careful of the gate beside the harbour (Gate of St Katherine - I think) as when we walked through a group of ladies grabbed hold of the two of us and two strangers. We think they were trying to distract us as others would pick pocket but luckily we had all our possessions in small bags which we kept to the front of us and were able to hold onto them as we pushed our way through. Within the Old Town you'll find yourself lost in the maze of streets, which feel like you've jumped back in time to the Medieval period. 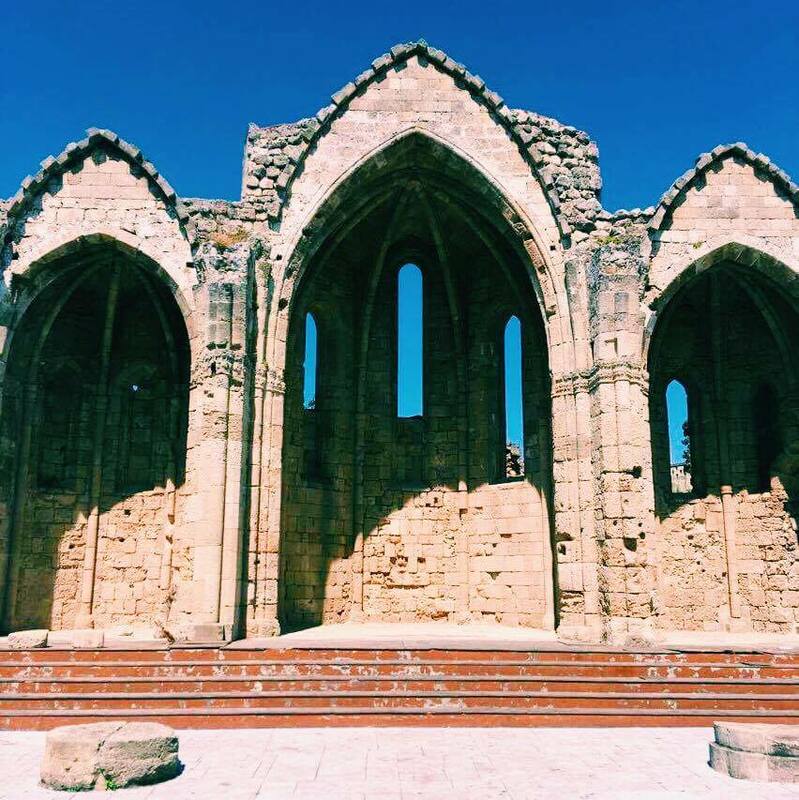 As well as the shops and restaurants, there are also the ruins churches and temples, in addition to an archaeological museum, museum of decorative arts, the Church of Our Lady of the Castle and the Palace of the Knights. It's worth giving yourself time to walk through and lose yourself in the history of the place - it can get quite hot so a bottle of water (and an ice cream) is recommended if you plan to spend a lot of time there. The palace of the Knights is an incredible site, and walking around the outside of the castle is well worth it to see the full extent of its walls. There's also gorgeous gardens surrounding it, full of colourful flowers and paths for you to explore too. Our visit to Rhodes Old Town was only a short one - the heat was too much for us walking around, and the call of our all inclusive cocktails at our hotel was too much. 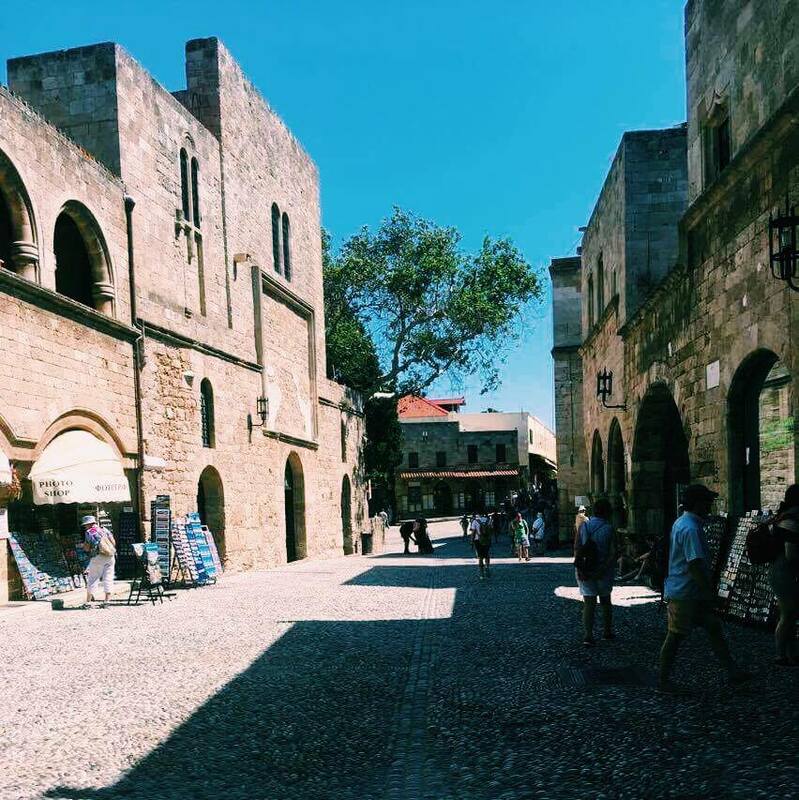 But we managed to pack a lot into the visit, and I feel like we explored Rhodes town well. 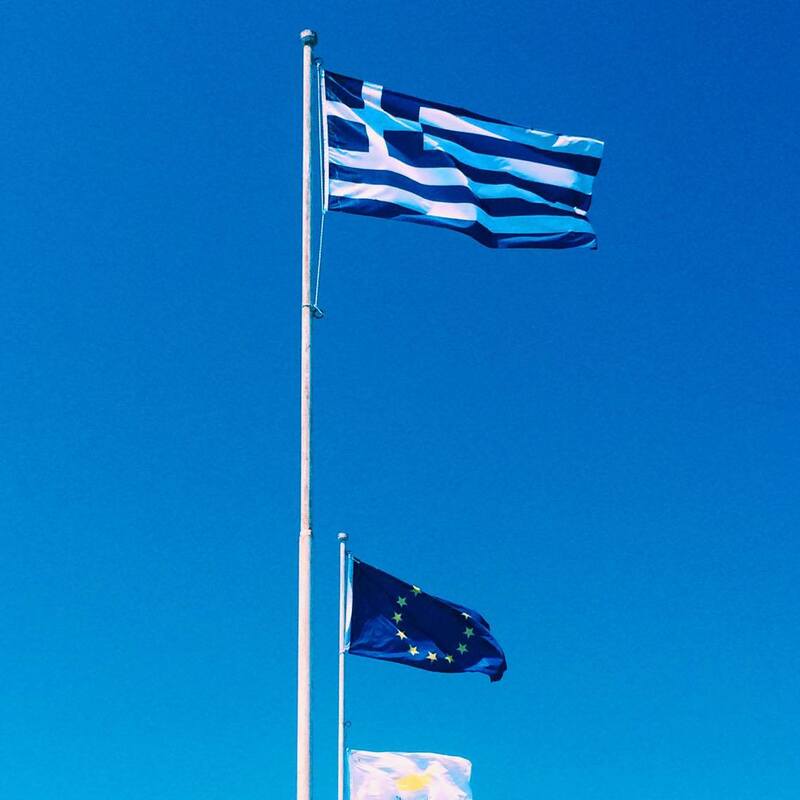 Keep an eye out on my blog (follow here on bloglovin), I'll be posting soon about our visit to Rhodes Acropolis and more travel posts over this summer! I've already been posting about exploring Edinburgh, and there's more to come. 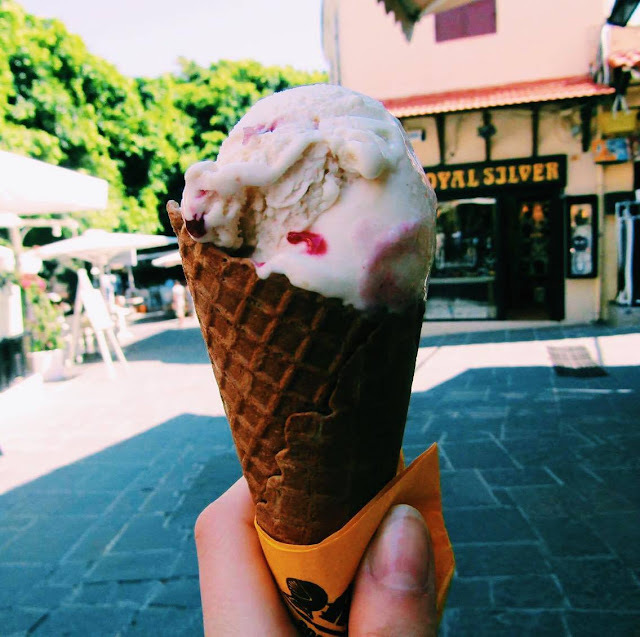 Now that I've finished my undergrad degree, I've got a summer full of fun, as well as returning to Italy for my dig! If youtube is your thing, then make sure you subscribe to my channel - it's a baby at the moment, but I'll be uploading a holiday vlog soon! This looks so beautiful! Would love to go here one day! Congratulations on finishing your degree too!! Rhodes looks so pretty! So many of our friends have recommended visiting and your pictures are sooo nice! Congrats on finishing your degree!